We had a great time of food and fellowship backyard yesterday with the leadership team in Spanish. We are moving to a new location for worship next week and we need your prayers. Also we are going to be working as Volunteers with the Golf Channel this week as the PGA comes to Playa. They are going to donate 5000. to the work in Chan Chen. Pray that we will be able to share the love of Christ at the PGA event. Thanking God For "I am Able Ministries"
God answers prayer. If you read the blog about our transportation needs you will see how quick God answered our prayers. Because of the generosity of Randy Carruth and the "I am Able Ministries" board. We are going to be driving a truck that not only runs great but it also has a dipstick. We are truly grateful and overwhelmed by this donation... We know this truck is God's truck and now because of "I Am Able Ministries" we are Able to serve Him as we go down the roads of Playa Del Carmen and Chan Chen telling the world that God hears and answers prayer. Pray that we will soon get the paper and tags for the truck so we can bring it down to Mexico. I went out to the Mayan zone today and the work on the mission center/ hotel is going great. They are working hard it is all by hand. It is starting to look like the Alamo. Well I made it there and back... God will provide all our needs. Starting March 1 the Spanish service will be moving to a better location in the heart of Playa Del Carmen. 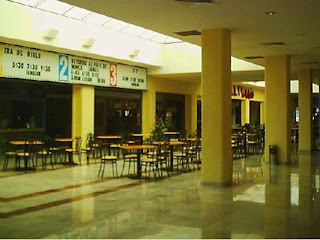 We are planing on renting the Movie theater at Plaza Pelicanos. We will also start a new English Service up there on March 29th. Building with stones seems to come natural for the Mayan people. We started building the pump house today and we cleared the land for the first building in our Chan Chen project. I was very please with the progress because they are doing everything by hand. They are breaking the stones and even bringing the water in on bikes to mix the cement and it is still going faster than most project in the city. Last week was a great time but I was too busy to up date you on the happenings down here in Mexico. I will start with today and work our way back through the week. We had a great time of worship both in English and Spanish. Pastor Terry Hill is now here working with us. He is our lead person for our English speaking ministries. We had a good crowd today in the English service in Paamul. Terry and the team in English are going to meet this coming Tuesday to make plans to start a new English service in Playa. The Spanish speaking service also went well today. We are still meeting in the movie theater in the Mall. God is blessing us each week. I had a old friend visit us this week on a vision casting mission trip, Randy Carruth, from "I am able ministries" in Louisiana. I have known Randy for about 11 years but had not worked with him for 8 years but God has brought us together again as we have a common vision to reach the Mayan people for Christ. His ministries is already helping us with the project in Chan Chen. We are thanking God for "I am Able Ministries"
I was made two trips out to Chan Chen last week and the project is moving on along. We had about ten local men clearing the land and starting construction of the pump house and storage building. I was able to speak to the workers, most understand some Spanish. I shared with the workers the dream and vision for the project in Chan Chen. I explained to them that this dream was from God and that He loved them and wanted a better future for them and their families. I told them our church could keep giving them food and old clothes but God wanted to give them so much more. I said, "He wants to give you purpose for today and hope for the future. They were excited and started working even harder at least for a while. We need your prayer and your financial support if this dream is going to be realized. Other Prayer needs this week. Darla's car died and it is going to cost more to repair it than it is worth. Our other car is also in bad shape. So transportation is high on our lists of needs this week. Pray for our mission team all have many needs as I write. Look for us on the Golf Channel Feb. 26,27,28 and March 1 we are going to be working as volunteers at the PGA tournament in Playa. The Golf Channel is going to make a $5000 donation to our project in Chan Chen and I get to Go the the PGA Tournament free. This is win! win! God is Good. We had a Super Bowl party at the house for some of our friends from church and most Mexican still are not too excited about our North American Football. But a pelican showed up in our back yard yesterday and this did bring a little exictment to the crowd. We feed 31 people and one pelican.